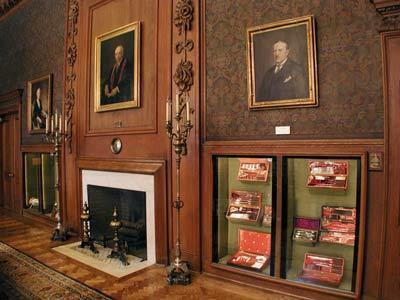 "The Dittrick Medical History Center is dedicated to the study of the medical past through a distinguished collection of rare books, museum artifacts, archives, and images. 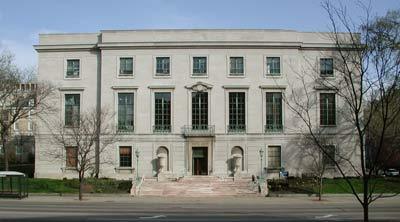 The Center originated as part of the Cleveland Medical Library Association (est. 1894) and today functions as an interdisciplinary study center within the College of Arts and Sciences of Case Western Reserve University in Cleveland, Ohio"1. 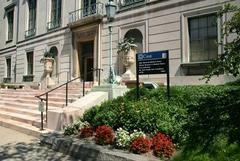 The Dittrick Center is located in the Allen Memorial Medical Library on the campus of the University. 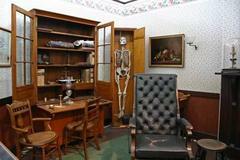 "The Dittrick Medical History Museum grew from the late 19th-century efforts of Dudley Peter Allen, M.D. a founder of the Cleveland Medical Library Association, to preserve the medical heritage of northeastern Ohio by preserving the equipment of its physicians. 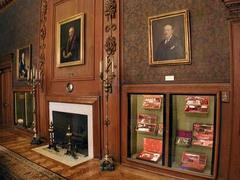 The idea was carried on and expanded by Howard Dittrick, M.D., who was first involved with the collection about 1925. Dittrick was named Curator of the museum in 1928 and later Director. Since 1981, under the leadership of curator James Edmonson, the museum has emphasized collecting things relevant to the immediate geographic area, has continued to build on strengths already in the collection, particularly microscopy and surgical instrumentation, and has developed some new areas of collecting, most notably in endoscopy"2. The Museum hosts a section about the history of contraception. "This is one of the largest and certainly one of the best medical museums in the country"3. Photos courtesy of Jim Edmonson and Laura Travis. 1. 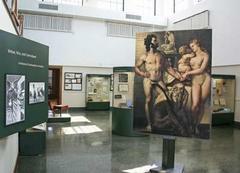 Retrieved from Dittrick Center and Museum official website. 2. Retrieved from Dittrick Center and Museum official website. 3. Martin R. Lipp, Medical Landmarks USA (A travel guide), McGraw-Hill, New York 1991, p.457.